Happy Friday! 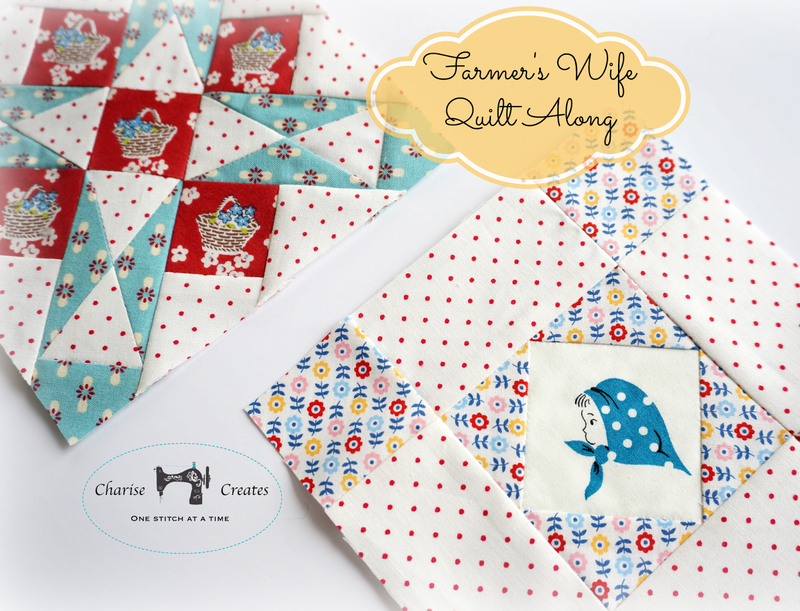 I'm back to share the last two blocks I made for the Farmer's Wife Quilt Along. If you are new to this Quilt Along you can find details over at VeryKerryBerry. The first block is called Augusta. Flower Baskets from Junko Matsuda for Daiwabo from Sew Me A Song on Etsy. Dot ~ Essential dots from Moda. Blue ground print is an out of print fabric from Moda - 1974 by Urban Chicks. Augusta is a fairly complicated block. I'm going to share a few tips to make it go together a bit faster and easier! I like to color code the pattern before cutting it apart. 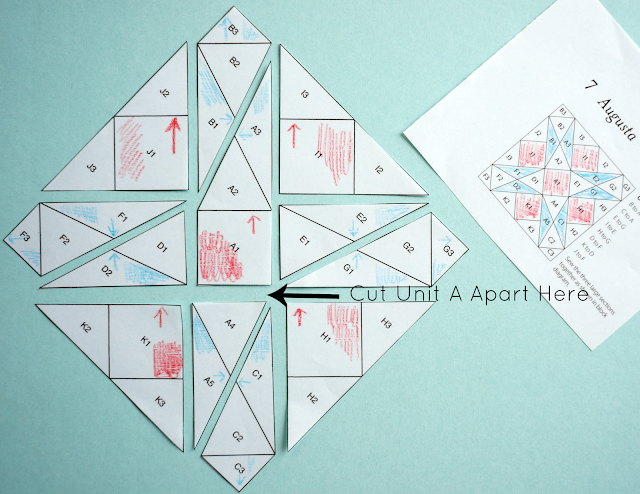 First, I color the small block on the paper piecing pattern page. Then I color the sections of the blocks. I also changed the pattern a bit. Unit A includes two Y seams. I cut apart the pattern to eliminate the Y seams as noted in the pic above. This is a perfect pattern to do a bit of prep in cutting and preparing each section. I cut the pieces as a group. 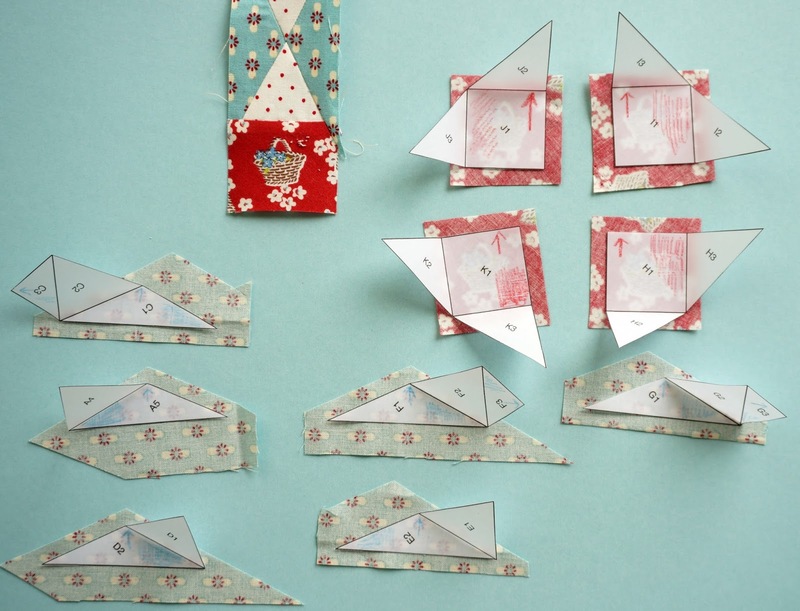 The pattern was glued to the fabric using a fabric glue stitch. This makes the sewing much faster! The second block is called Aunt. The Kerchief girl is an out of print Japanese Fabric. The fussy cutting looks great! 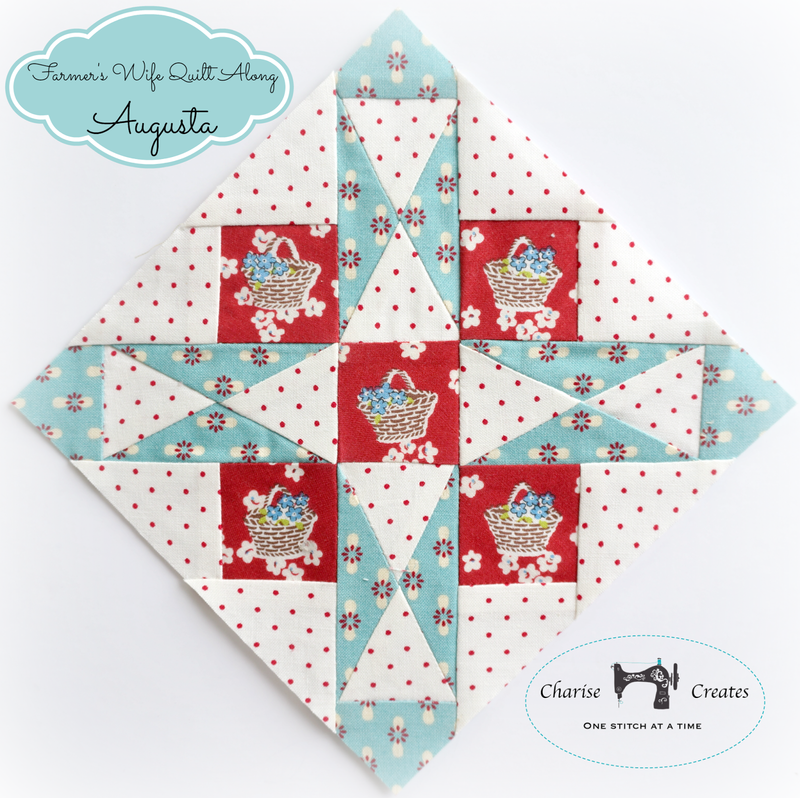 It add a lovely detail to very sweet blocks. They are great looking blocks. I haven't wanted to tackle this project, and it's nice to see how you get them to look so pretty! I look forward to your next post! Wonderful blocks, Charise! 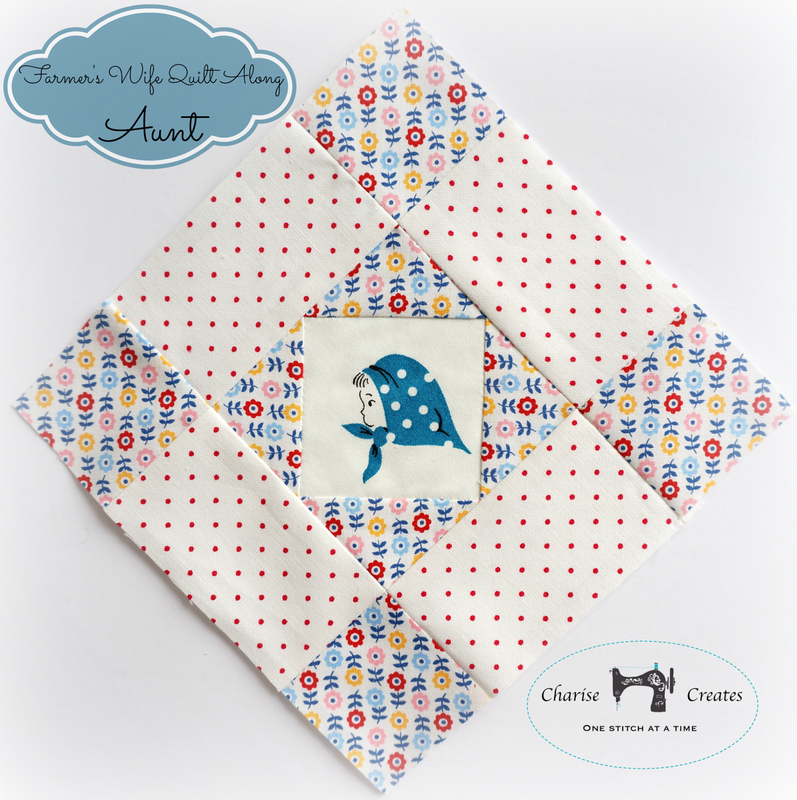 I've been trying to figure out what to put in that center square of the Aunt block, and now I know! Kerchief girl to the rescue! Thanks for sharing your lovely work.